Work and sports related injuries occur every single day, affecting so many people for the rest of their lives. Daily activities that were once easy and painless become more and more difficult as the days, months, and even years pass. Three years ago, husband had a work related injury and had to have knee surgery. It has been exactly three years since his surgery, but his knee still hurts on a daily basis. In his line of work, his knees don't ever get to rest and as a result it takes its toll. "Noxicare Natural Pain Relief is a breakthrough natural pain relief formula that is a proprietary combination of 7 of the world’s most potent natural pain relievers that quickly and effectively alleviate inflammation, muscle aches and nerve pain — with NO known side effects and without a prescription." This thick cream may safely be used every day, and will help relieve pain associated with: joints, nerves and muscles; inflammation; musculoskeletal disorders, and neuropathy. From the very first time we used Noxicare cream on my husband's knee, he could feel the difference. We love that the cream is thick, odorless, and non-greasy! For the past several weeks, Noxicare has become part of our nightly ritual - I rub this cream on his knee every single night before we go to bed. It has proven to be fast acting and effective. The natural pain relief, antioxidants, and anti-inflammatory ingredients have proven to relieve his knee pain and has made a positive effect! 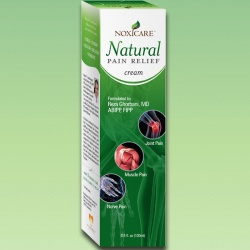 Just a little bit of Noxicare natural pain relief cream goes a long way - so one tube lasts a long time! Noxicare is going to be a staple in our household from this moment forward... no doubt about it! This giveaway will end January 22nd at Midnight EST. Disclaimer: The Being Frugal and Making it Work family received a complimentary tube of Noxicare Natural Pain Relief Cream for the purpose of writing a review and hosting a giveaway. Regardless, I only recommend products or services I would use personally and/or believe will be a good fit for my readers. The views and opinions expressed on this blog are based purely by our own experiences. No monetary compensation was received. Results may vary. Ginger is an effective anti-inflammatory agent used for thousands of years to alleviate arthritis, headaches, rheumatism and sore throat, while also naturally relieving muscle strains and knee pains experienced by athletes. I have serious nerve and back pain from years of lifting heavy items at work. I'm only 4'10" and carry a lot of heavy items at the store and at home. No matter how many times I use Thermal Heat Wraps or a heating pad, nothing really seems to cut through and help the pain. Noxicare sounds like another possible solution. ooh! this might really help with my bum knee and the arthritis in my back! I learned that it relaxes muscles and reduces innflamation. Great natural Iingredients like ginger, basil, willow anf turmeric. I would like to try this cream for sore muscles due to exercising and banywearing. Family members would use it on knee pain and arthritis. Other products might reduce inflammation, lessen muscle aches or increase blood flow to ease painful nerve endings. Noxicare relaxes the muscle and reduces inflammation to alleviate pain, while working to increase blood flow to calm painful nerve endings. I have RA and would like to try this on my knees especially. Also on my wrists and ankles. 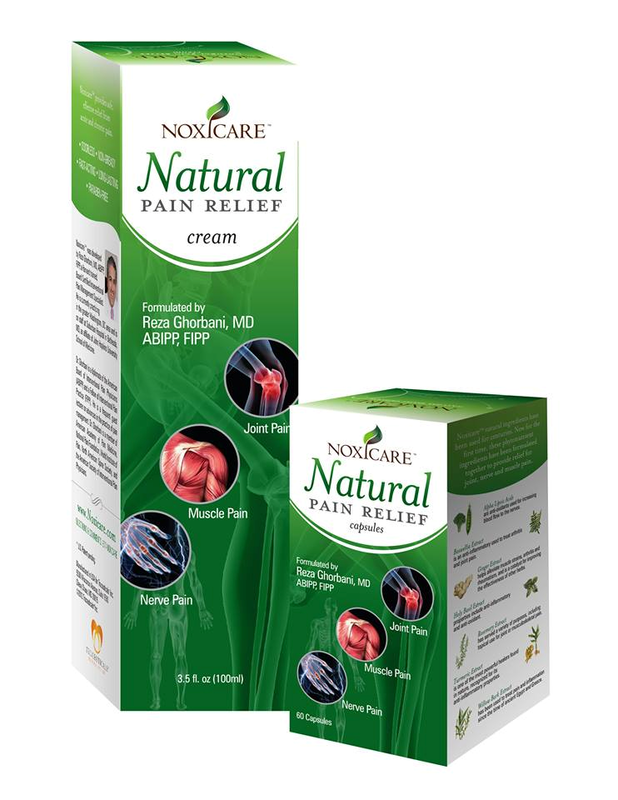 Noxicare™ is a breakthrough natural, patent-pending pain relief formula that is a proprietary combination of 7 of the world's most potent natural pain relievers that quickly and effectively alleviate inflammation, muscle aches and nerve pain—with NO known side effects and without a prescription. I learned that Noxicare relaxes the muscle and reduces inflammation to alleviate pain, while working to increase blood flow to calm painful nerve endings. 10 Frugal Vacation & Travel Tips! HELP! Stuck in a Blogging Rut! Ringing in 2014 - Happy New Year!